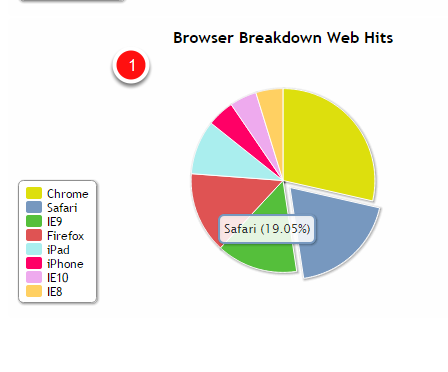 This section of campaign results gives you insight into the browsers used to view your email. There are two ways of viewing browser breakdown. 1. 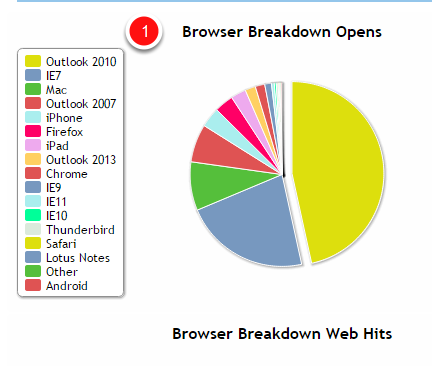 This shows you a list of browsers that your email has been opened with. 1. 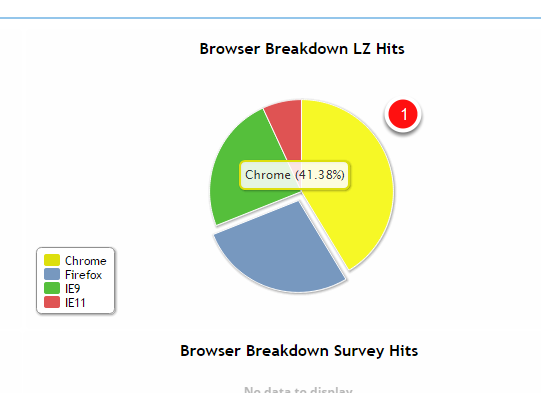 This shows you a list of the browsers used to open your landing zone. Note: hovering over the section tells you the browser and the percentage, as in the example above. 1. This shows you a list of used to open your links. 1. 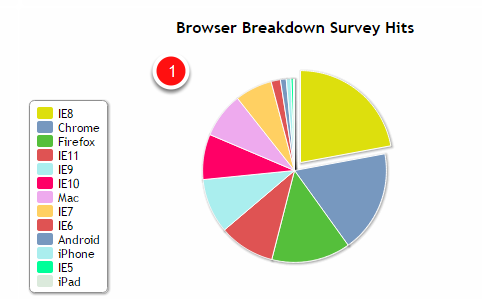 This shows you a list of browsers that your surveys have been accessed through. Note: If you click on a section in the graph this separates it from the rest of the graph, as in the example above. 1. If you have a long list of browsers, clicking on the down arrow takes you through the pages of the list.